T.G.I. Friday's, 15207 Major Lansdale Blvd. It's a T.G.I. 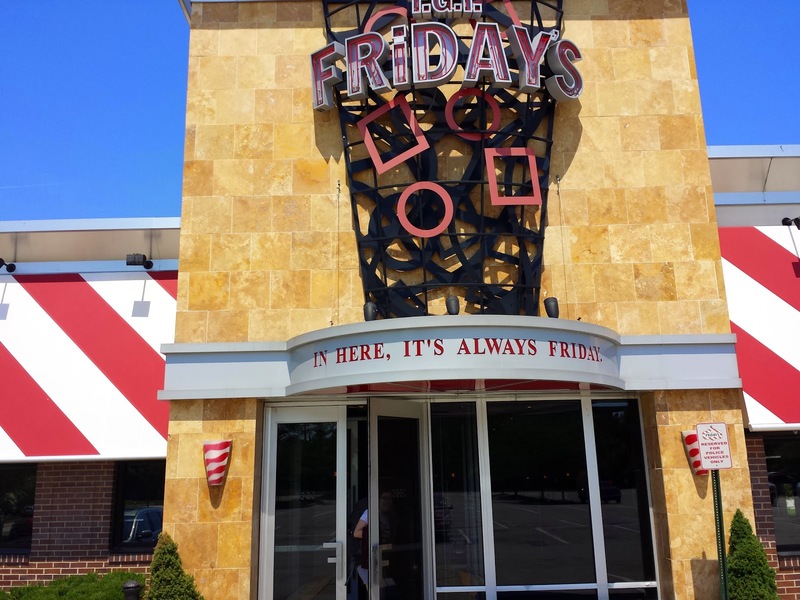 Friday's. 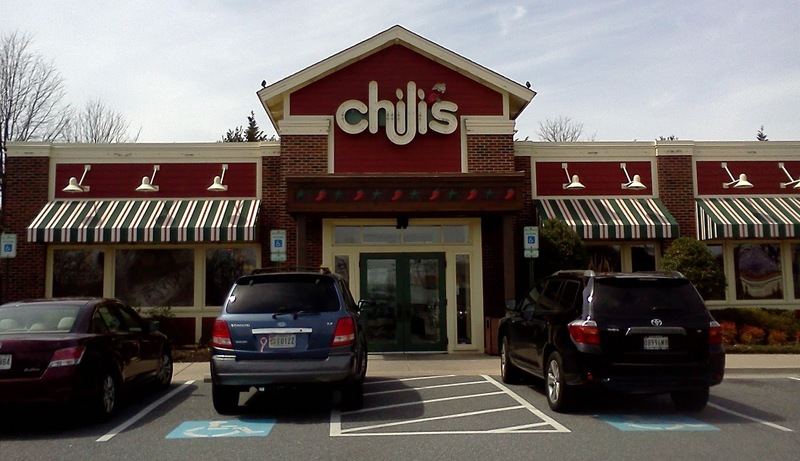 And just like Applebee's, Chili's and Ruby Tuesday's before it, it earns 2.5 stars. The word "adequate" springs to mind. Impressively enough, it managed to achieve adequate by a mix of good and bad, rather than across-the-board mediocrity. The service was snappy. I got their "2 for $10" deal, which produced a generous amount of food. The "Spinach Florentine Flatbread" appetizer was surprisingly good. The Jack Daniels Burger came with very tasty fries, which I wasn't expecting...either the fact that I'd get fries or how good they'd be. The burger was...otherwise. I ordered it medium-rare, and it was probably medium-well. The taste screamed, "I was ordered from a generic food-supply company." I really regret eating it. My lunch companions had similarly-mixed experiences. One reported that a surprisingly good avocado was paired with disgusting meat. The other was pleased at the presence of a gluten-free menu, but frustrated that almost everything on the menu was steak. There were other items on the regular menu that appeared likely to be gluten-free, but perhaps the restaurant didn't want to update its gluten-free menu with all of the "new" items on the menu. It certainly was a confusing menu. Convenient parking for Bowie's Finest. 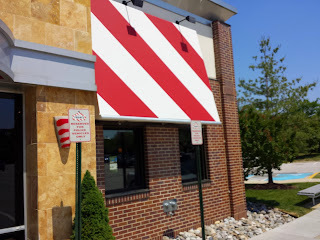 So, as with the other casual dining chains, I don't see any reason to go there, but if you do go there, you will probably have an OK experience. If someone invites you there, it's probably OK to go...though maybe not late at night. Most places have reserved spaces out front for take-out orders. The Bowie T.G.I. Friday's has two spaces for cop cars. That's not a good sign. Neither is the fatal shooting last year in the parking lot. You should be fine in the daytime, but it's probably not the best late-night haunt. With the opening of Freestyle Fish 'n' Chicken in January, for the first time since I started this Project, there were no more "coming soon" restaurants. That has since changed. We're now anticipating three new restaurants! 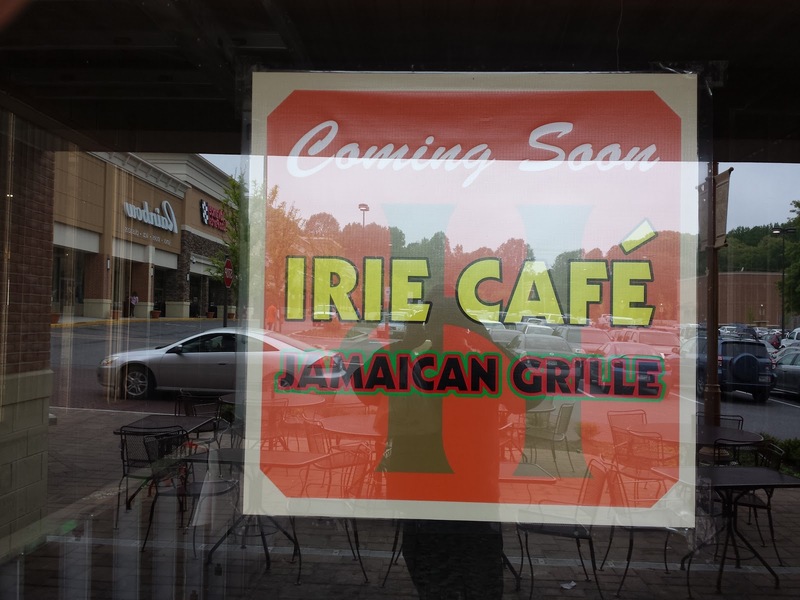 Irie Cafe Jamaican Grille will be opening in Hilltop Plaza, next to Chesapeake Grille (in the location that the Muffin Man Caribbean Cafe never occupied). 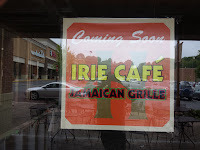 Hibachi Bowl is replacing Hibachi Japan in the Bowie Town Center food court. "Anthony's New York Pizza and Pas"(ta?) is now listed as a tenant in the Free State Shopping Center at the old Peepers address.